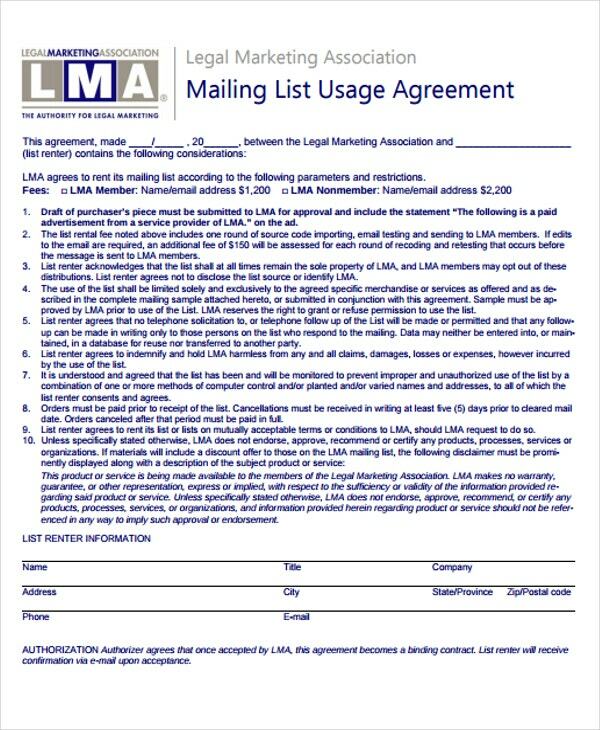 A mailing list is a compilation of persons’ names and complete addresses in which they are used by a person or an organization when it comes to sending materials or messages to various recipients. The term itself is generally extended in including those people that are subscribed to such list or new list. Thus, the “mailing list” term has started. 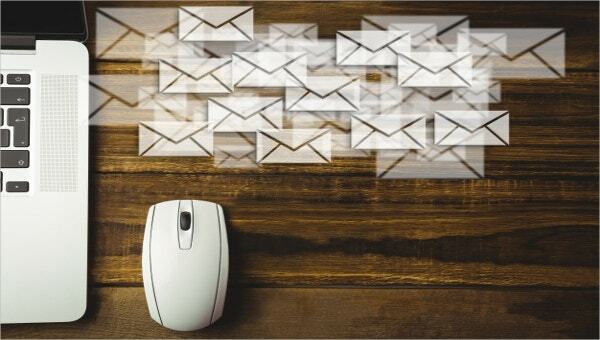 Crafting a mailing list is not that difficult; however, one must be meticulous in typing down tons of different names and addresses, making sure that the spelling is correct or else certain people will not be able to receive the email. With the help of our mailing list templates, it will be a whole lot easier for you since these templates contain relevant list template elements. 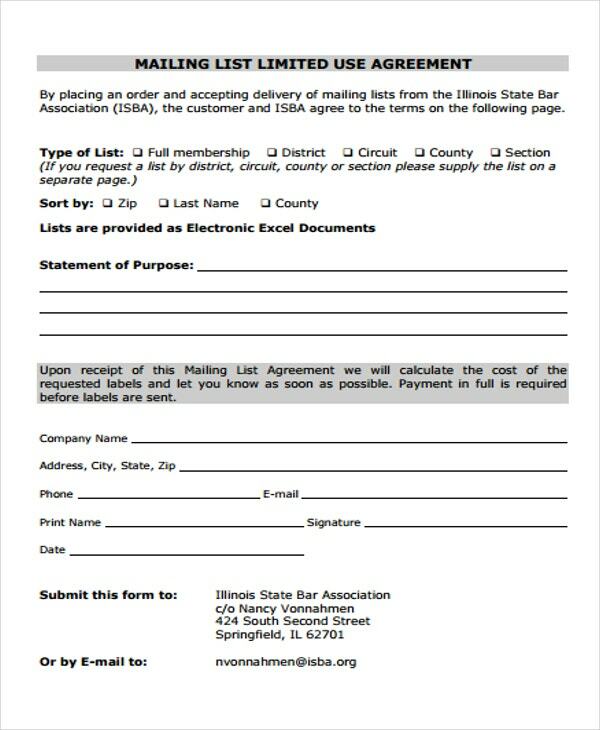 These are the following mailing list templates we offer. You can download them anytime you want. These are format and content-ready. You might want to see some of the samples and choose the ones you think is appropriate. 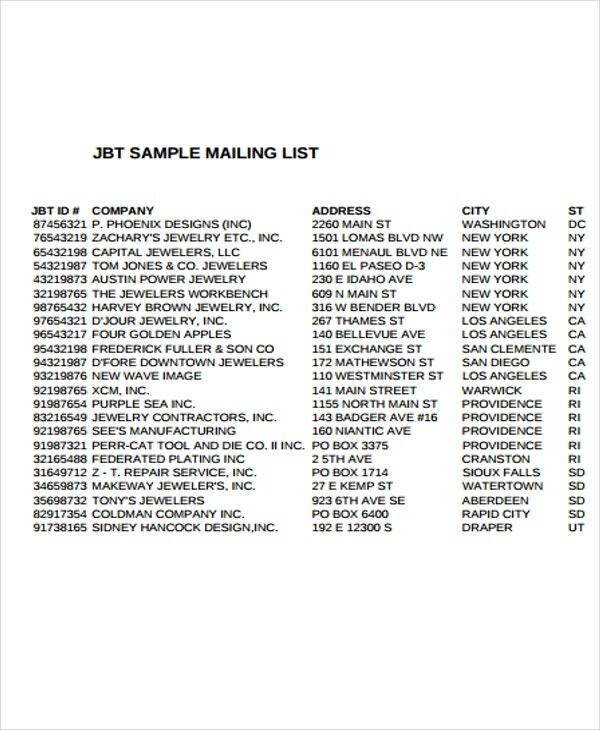 Free Mailing List Template – Looking for a free mailing list template that you can download? This is the right one. This is not just for free, it is content-ready and you can just edit it anytime. In connection to this is our free list template. Some of our email list template samples are also for free. Customer Mailing List Template – If you want to have a mailing list for your business, where it will be easier for you to email updates to your customers or clients, then this template is what you need. It comprises of information such as the name of the customer, contact details, company name, city, mailing zip, and so on. Example of Mailing List – Don’t know how to make a mailing list? No need to worry, with this example, surely you will have your own mailing list in no time! 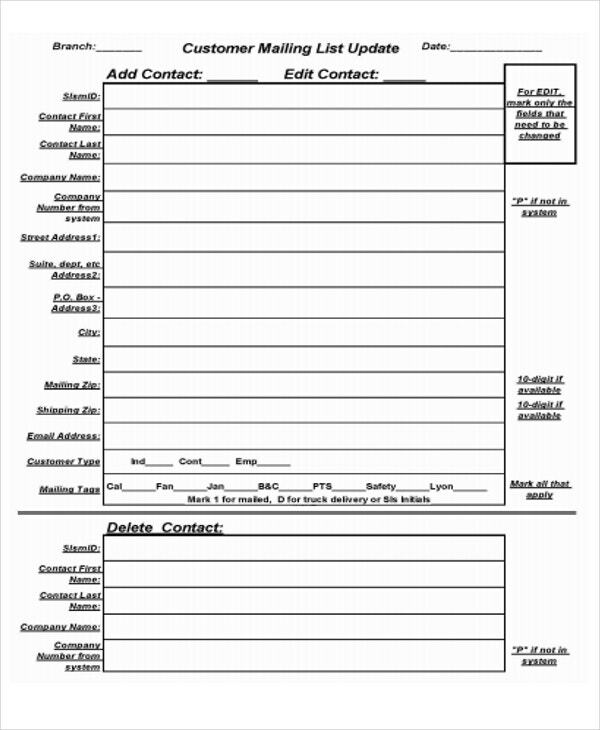 This is also a printable list template that you can download and print anytime. So for your mailing list needs, we recommend these templates, including our shot list templates. First is, open up Excel on your computer. Once you’ve opened up Excel, you need to type the names of your data labels in the first row (e.g., First Name, Last Name, Address, City, and Zipcode). Once done, you need to type in your customer’s information or create a lead list directly into Excel. After, don’t forget to save your mailing list. 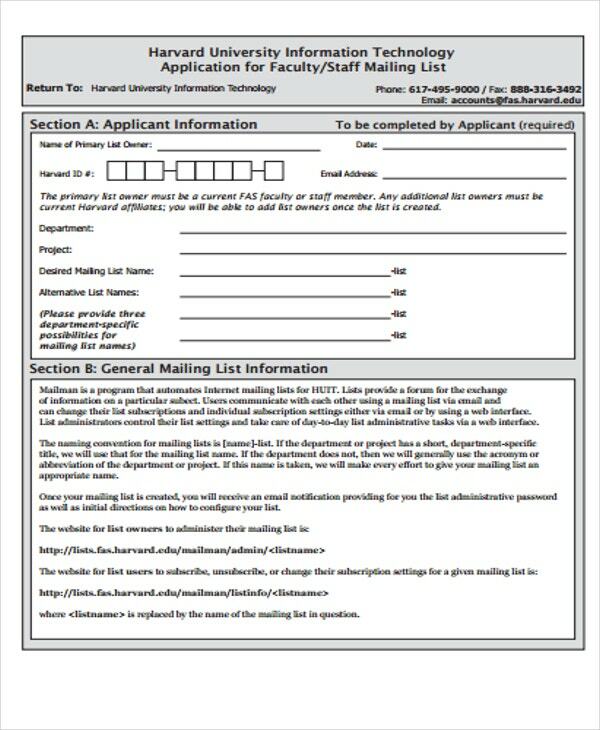 Select which process you want in printing out your mailing list. Next is, click on Label Options. You need to choose the Label Vendor you will be using when it comes to printing out your labels. After, choose Browse in finding your mailing list Excel spreadsheet. You will then choose OK when you are able to open up the Select Table window. There will be an option where you will remove or filter anyone on your mailing list that you don’t want include. After, click the OK button. 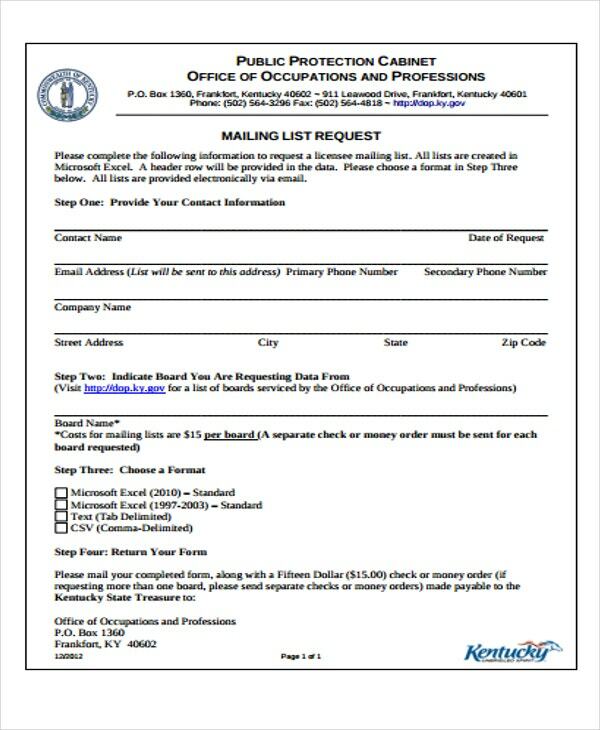 You will arrange the labels on the mailing list or document that you are making. After all these, you need to Save, Update All Labels, and Print. You can either print a list template PDF for this too. Creating client list templates using Excel has a similar process as this.